I was wondering today why Coursera hasn’t yet got the initiative to implement full programs, that consist of multiple courses, on specific domains. It will be, for instance, like specializing in particular topic in universities master programs. That thing is I was very delighted when I searched for it today and there you go! Here it is! 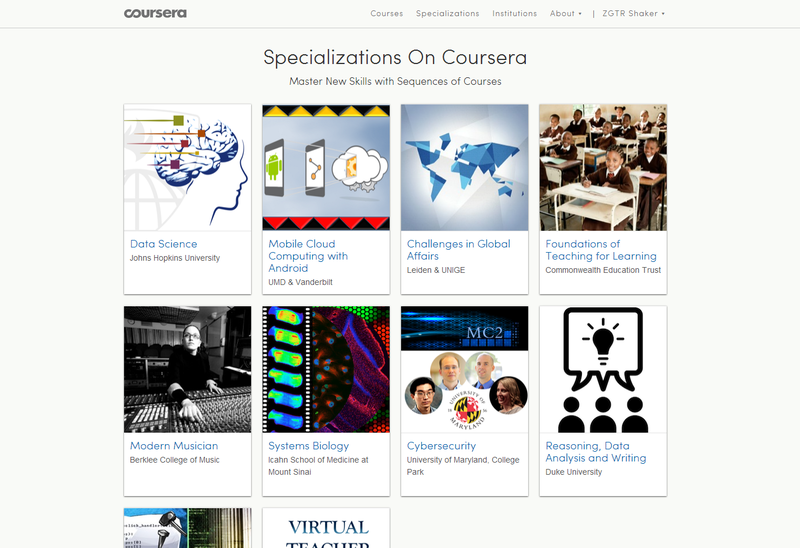 Coursera has really done it! It’s a very big opportunity for us to get on with online education FOR REAL now. I hope that I can enroll in one of the courses.